The French Pope, Gregory XI, returned the papacy to Rome, against the wishes of France and several of his cardinals, on this day in 1377. The move back to Rome was a highly significant act in history as the papacy, from that date onwards, was to remain in the city. Gregory was born Pierre-Roger De Beaufort in Limoges. He was the last French pope, and he was also the last pope to reign from Avignon, where he had been unanimously elected in 1370. He immediately gave consideration to returning the papacy to Rome in order to conduct negotiations for reuniting the Eastern and Western Churches and to maintain papal territories against a Florentine revolt being led by the powerful Visconti family. But Gregory had to shelve his Roman plan temporarily in order to strive for peace between England and France after another phase in the Hundred Years’ War started. 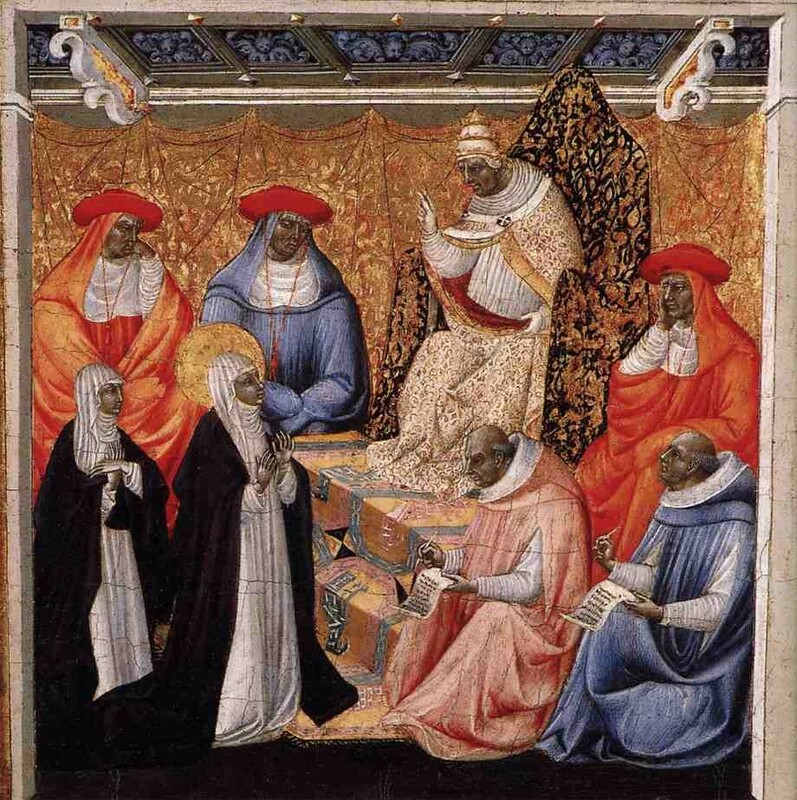 However, in 1375, he defeated Florence in its war against the Papal States and the following year, he listened to the pleas of the mystic Catherine of Siena, later to become a patron saint of Italy, to move the papacy back to Rome. After peace was concluded against Florence, Gregory returned the papal court to Rome, entering the city on 17 January 1377, ending nearly 70 years of popes residing in Avignon. His last few months in Rome were marred by conflict and at one stage he had to flee to Anagni, a town outside the city. 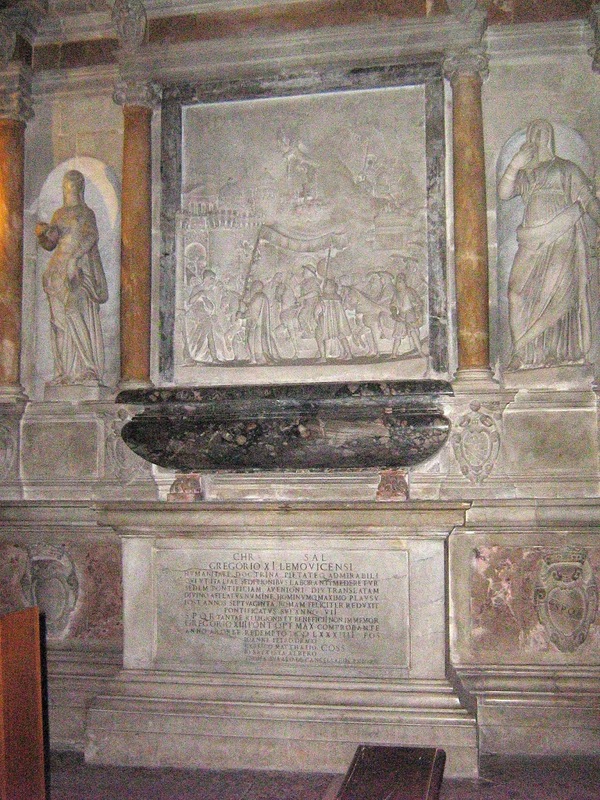 Gregory died in March 1377 in Rome and was interred in the church of Santa Maria Nuova. But the move back to Rome he brought about was important in papal history. Since then, the papacy, despite the reigns of antipopes in other cities, has always remained in Rome. After Gregory’s death, the College of Cardinals was threatened by a Roman mob that broke into the voting chamber to try to force an Italian pope into the papacy. The Italians chose Urban VI, but the Cardinals were against him and withdrew to Fondi, the city between Rome and Naples that was the home of the powerful Caetani family, where they annulled the election of Urban and elected a French pope, Clement VII. This election of rival popes caused the split known as the Western Schism, forcing Europe into a dilemma about papal allegiance. The Schism was not resolved fully until the Council of Constance was held by the College of Cardinals between 1414 and 1418. 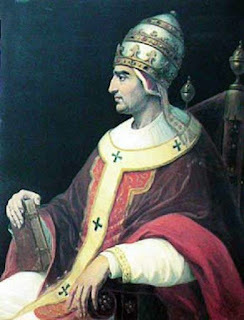 The Council deposed both popes and elected the Roman-born Martin V.
After a long stay in Florence, Martin V entered Rome in 1420 and immediately set to work restoring order and repairing dilapidated churches and palaces. Anagni, where Pope Gregory XI briefly sought refuge, is an ancient town in the province of Frosinone in Lazio. It is south east of Rome in an area known as Ciociaria, named after the primitive footwear, ciocie, a type of sandal, worn by people living in the area. During medieval times many popes chose to reside in Anagni, considering it safer and healthier than Rome. The town produced four popes, the last one being Boniface VIII, who was hiding out there in 1303 when he received the famous Anagni slap, delivered by an angry member of the fiercely antipapal Colonna family after he refused to abdicate. After his death the power of the town declined and the papal court was transferred to Avignon. 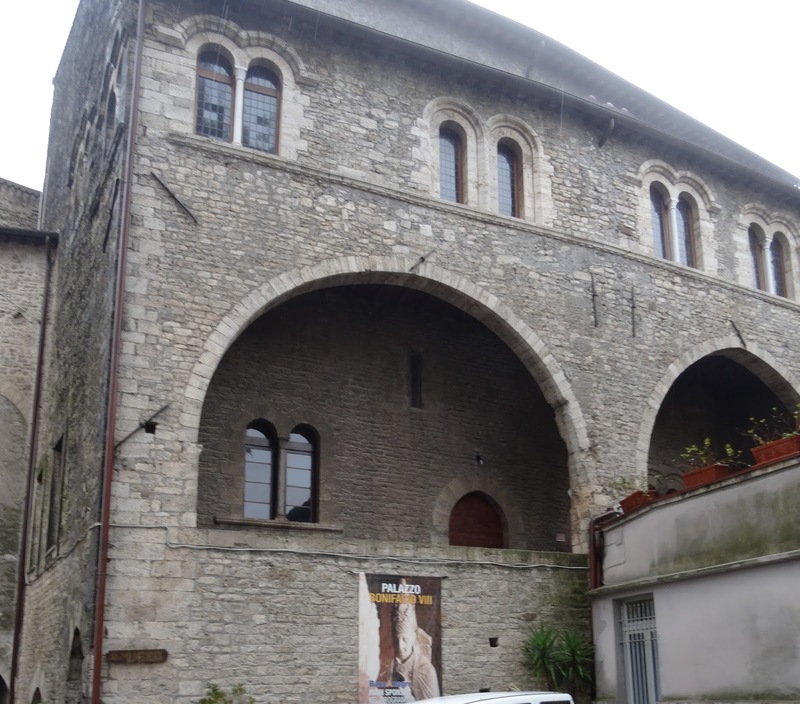 The medieval Palace of Boniface VIII, is near the Cathedral in the centre of the town. Close by there is a restaurant named Lo Schiaffo - The Slap. The church of Santa Maria Nuova, where Pope Gregory XI is buried, adjoins the Roman Forum and is now known as the Basilica di Santa Francesca Romana, off the piazza of the same name. 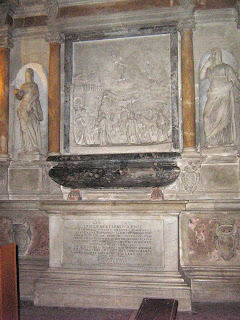 The tomb of Pope Gregory XI is in the south transept of the church and was reconstructed in 1584 to a design by Per Paulo Oliviero.